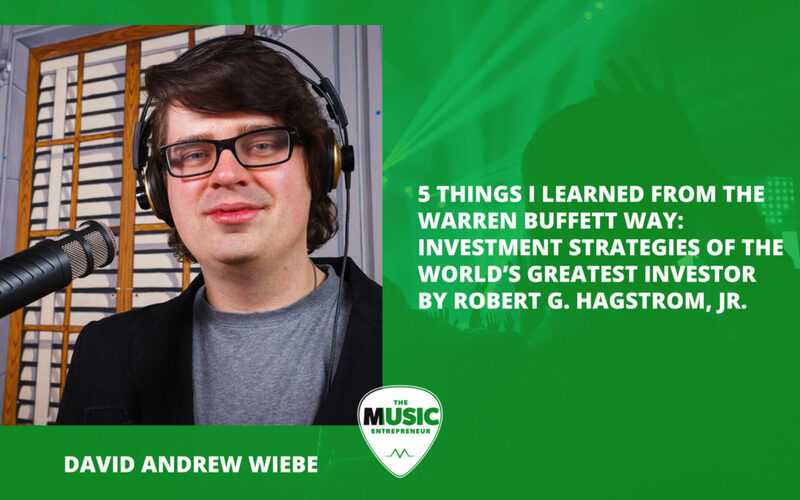 015 – 5 Things I Learned From The Warren Buffett Way: Investment Strategies of the World’s Greatest Investor by Robert G. Hagstrom, Jr.
A lot of people talk about investments. But what most people aren’t willing to admit is that they know very little about how they work, why they’re important, and how much money they’re paying to have their portfolios managed. In this episode of the podcast, I share five insights from the book, The Warren Buffett Way, in an effort to clarify the sometimes confusing and scary world of investing. As Tony Robbins so eloquently expressed in his book, MONEY Master the Game: 7 Simple Steps to Financial Freedom (get it on Amazon Canada or Amazon US), investments are confusing. Once you get passed the terminology, it’s not as bad as it may first appear, but building that kind of comfort level can take time. And let’s face it – it’s not necessarily an exciting topic unless you’re already making money from your investments. Only then is it actually fun! The reality is that most of us will need to invest in something – in our own business, in the stock market, or elsewhere. Why do I say that? Because most of us won’t have enough money to retire on. Or, we simply won’t have the means to live the lifestyle we want once we’re ready to retire. Unless you’re someone with extraordinary talent, skill, or knowledge with the ability to make a lot of money, or you’re extremely savvy and good at saving, there’s a good chance you won’t be able to live off of pensions and retirement savings alone. Taxes cost money, utilities cost money, travel costs money, and eating costs money. Even if you pay off your mortgage, there are still some things you will have to pay for after you’ve left the working world. Scary to think about isn’t it? But that’s exactly why we have to talk about this. You need a plan for your future. Unfortunately, The Warren Buffett Way doesn’t exactly demystify investing. It doesn’t lay out the meaning behind industry terms either. What it does do is offer a few practical insights into Buffett’s investing strategy. That’s about five to 10% of the book. The other 90% is about Buffett’s investing history, something most people won’t find terribly entertaining, including me. But nevertheless, I read this lengthy tome from start to finish, and I wanted to share with you a few insights I took away from it. Let’s get started, shall we? This point is hammered home in various parts of the book, and in different ways. Buy a business, not a stock. Do you believe in the business? Do you believe the management is competent? Does the management know how to allocate financial resources in a smart, strategic way? Are you convinced that the right pieces are in place, and that the future of the business is secure? If you answered “no”, then it doesn’t matter whether or not you feel you’re staring at a “good deal”. Buffett doesn’t invest in stock – he invests in businesses. And despite the fact that he is one of the wealthiest men on the planet, he has made some mistakes along the way. This is inevitable. You can’t bat 1,000 in investing. I thought that this was a really great takeaway. The idea is that the better investor you are, the better the business owner you could potentially be. Or the better the business owner you are, the more readily you’ll be able to identify the strengths and weaknesses of a business when you’re looking to invest. The two disciplines are complementary, and a strength in one of them will help you to succeed in the other. So if you’re interested in investing and securing your future, then you should get into business, because it will teach you a lot about investing also. When you hear the word “franchise”, what immediately comes to mind? McDonald’s? Walmart? Subway? Starbucks? The thing about franchises is that they are systematized. I think this is an important insight missing from the book. What I mean is that you can walk into any franchise, and typically you’ll get a very consistent experience across all of them, whether you’re ordering a coffee, some French fries, or a sandwich. And another aspect is employee conduct, and how they greet customers, how they up-sell, how they prepare your meal, how they check out at the end of the day. Most if not all franchises have all of these steps documented and written down so that consistency is preserved at all locations. But in context of investing, the point here is that franchises are often good investments. Why? Because they don’t require competent management. Most other business models are heavily reliant on strong management, but with a franchise, an adequate manager will do just fine. The book even points out that Buffett himself spends no time or energy analyzing the economy. If you’ve been around me for any length of time, you know why I think this is a valuable insight. Again, if we were to apply it to the world of investing, the idea here is not to watch the stock market and let it tell you what to do, but rather to act independently of movement in the market and to make solid choices that will benefit you and your portfolio. It’s the difference between acting on the best information available to you, and reacting emotionally to the ups and downs in the market, which are inevitable. But I think this is good advice when it comes to building your music career or music business as well. If you let the economy dictate your actions, you’ll always be on the reactionary side of the equation. This does not mean that the economy won’t affect you. If you’re a music teacher, you might lose some clients as a recession hits. If you’re a gigging musician, you might not be able to access the same quality of gigs as before, resulting in reduced pay. But this is where the entrepreneurial spirit rises up and finds new opportunities. And if they can’t find them, they make them. So stop worrying about the economy, and start developing yourself so you can become a more resourceful person. Whether you know it or not, even big businesses have ups and downs. As an investor, this means that you might have the opportunity to invest in a business for much less than it is actually worth. The key here is that you would have to keep an eye on how the business is doing over time, and this is not something you would do unless you were interested in the business in the first place. 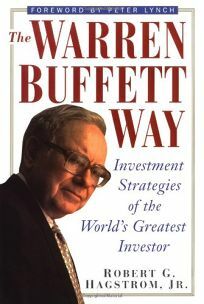 As I reflect on the contents of this book, it is clear that this tenet has definitely been a part of Buffett’s investing strategy over the years. And it makes a lot of sense. If you can buy a business for less than its actual value, you’ve bought it at a bargain. So long as the investment itself was sound, you’d be able to enjoy the benefits of the company’s recovery and growth over time. At this point, I’m obligated to say that I can’t in good conscience give you investment advice. I’ve had some successes and some failures in this regard, but I only play with money I’ve specifically set aside in my “aggressive growth fund”, which is a separate fund from my emergency fund as well as my dream fund. I’m not an accountant, broker, lawyer, or a millionaire investor. Please consider consulting a professional if you’re interested in finding an investment that’s right for you. As always, I have shared my insights and ideas from the book in my own language and from my own perspective. The author may or may not agree with what I’ve had to share with you. But hopefully I’ve done a reasonably good job of extracting some things that you’ll find valuable. And, of course, I can’t unpack a tome of this length and boil all of its wisdom down into a few minutes of audio or a 1,500 blog post, so I would recommend going straight to the source if I’ve piqued your interest. But as I said at the beginning, you’re in for a long read unless you love “geeking out” over investing and investment strategies. I hope you’ve enjoyed this book review, and I look forward to sharing more with you in the future. Thanks for reading! If you feel inclined to check out The Warren Buffett Way, you can go to Amazon Canada or Amazon US, where you can learn more about the book, and see what others have had to say about it. Should you choose to buy the book through the provided link, I will earn a commission at no additional cost to you.